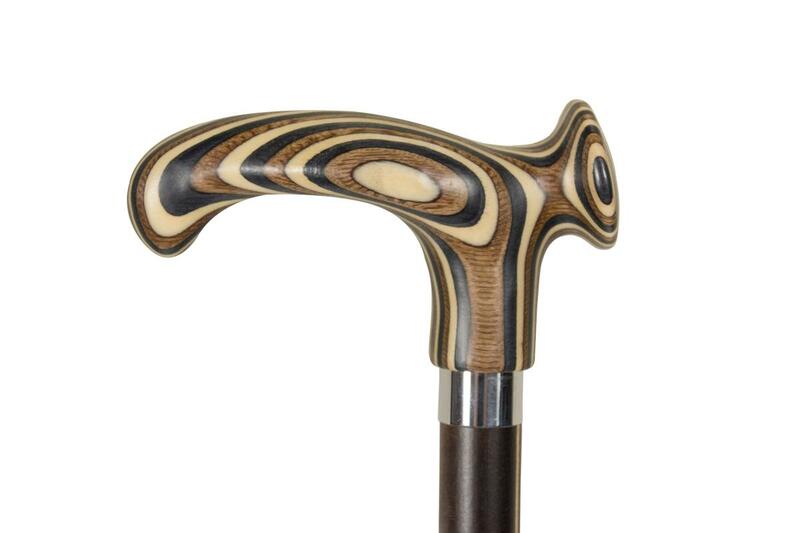 A very special cane for the discerning stick user. The ergonomically designed 'Relax' handle is shaped to support the user's hand and prevent it slipping forwards. The handle shape is often very comfortable for sufferers of hand problems caused by rheumatism and arthritis. The handle is cut from laminated wood in brown, black and cream strips, the curved design resulting in a beautiful and eye-catching pattern. The beech wood shaft is stained dark brown, with three vertical stripes etched into the wood to provide further decorative detail. 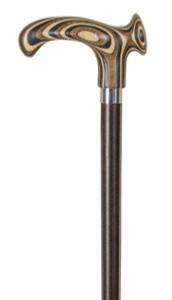 The overall height of this cane is 92cm and it is fitted with a non-slip rubber ferrule. Ferrule diameter 19mm.